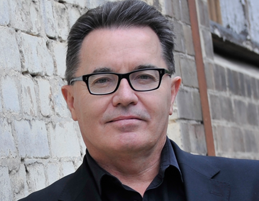 Colin James is recognised as one of Australia’s leading Corporate Speakers, Educators and Facilitators. He works with an extensive array of clients throughout Australasia, the Asia Pacific, Europe and the USA… and has done for the last 24 years. Originally from South Africa, Colin arrived in Australia in 1982 and after some years in the fields of broadcasting, retail and marketing he established Altmore International Pty Ltd in 1988. In South Africa he was deeply involved in student politics working as an anti-apartheid cartoonist and activist. He left South Africa because of police pressure and spent the next three years traveling through the Middle East and Africa before immigrating to Australia. In 1988 he began his work as an Educator with the Australian Quadriplegic Association ultimately working with Christopher Reeve on education and research on spinal cord injury. His work covers an extensive array of industries in the private, corporate and government sectors. In 2008 he was awarded the prestigious ‘Australian Educator of the Year’ award for outstanding contribution to the field of learning and development. Colin’s approach is distinguished by the intellectual depth he brings to each engagement, underscored by sophisticated delivery methodologies, which incorporate creative and dynamic presentation technology. Extensive evaluations of his training programs show demonstrable return on client investment, reflected in measurable learning transfer. His long-term relationships (up to 10 years) with clients result from their satisfaction with these returns. He is a consummate storyteller incorporating cartooning, humour and dynamic interaction with his audiences and participants.